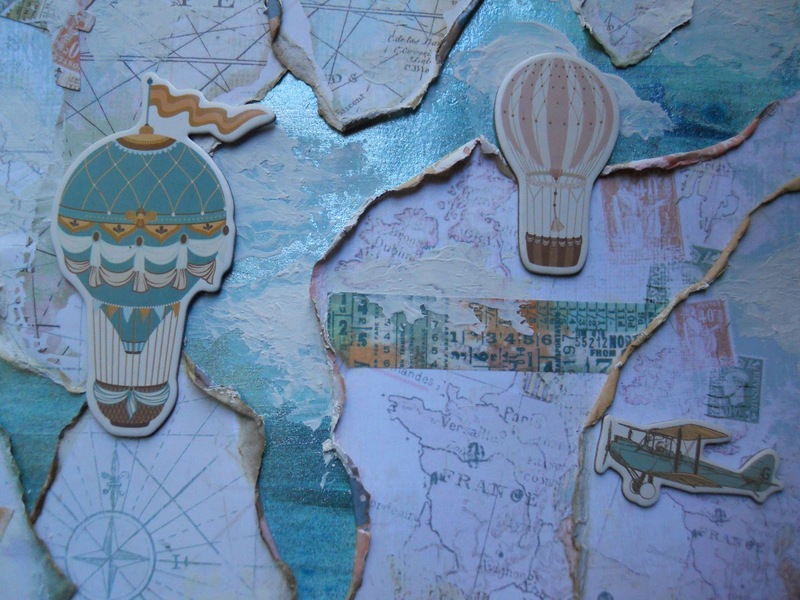 Now that it's Spring Break, it's the perfect time for travel, or to just play with the Simple Stories (Simple Vintage Traveler) Collection from FotoBella.com! 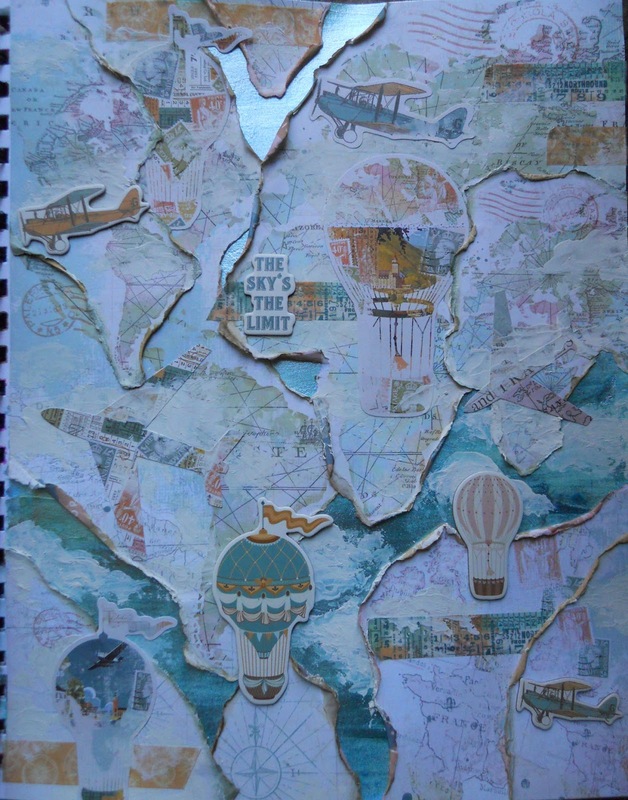 Drea here, with my head up in the clouds again, with this art journal page. 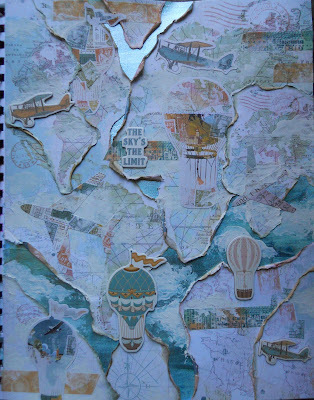 After priming my page with Prima Marketing Gesso (White), I painted it with a coat of Art Alchemy Sparks Paint (Mermaid Sparkle), followed by Art Alchemy Sparks Paint (Magical Pond), and another coat of (Mermaid Sparkle), for a beautiful water color and sheen. 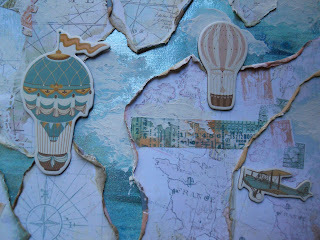 The vintage map pieces were torn from the same paper in the 12 X 12 Collection Kit and the 6 X 8 Pad. Then I distressed the edges with water and Distress Inks (Old Paper, Frayed Burlap, Bundled Sage, and Tattered Rose). 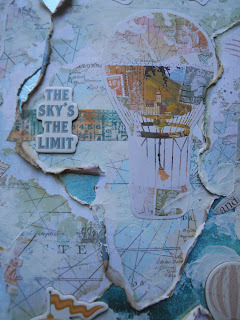 After adding strips of Washi Tape, I made the clouds with a palette knife, using Prima Marketing Gesso (White). 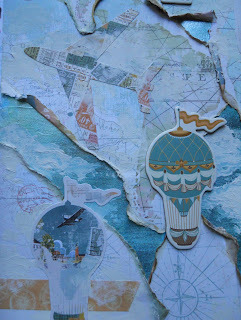 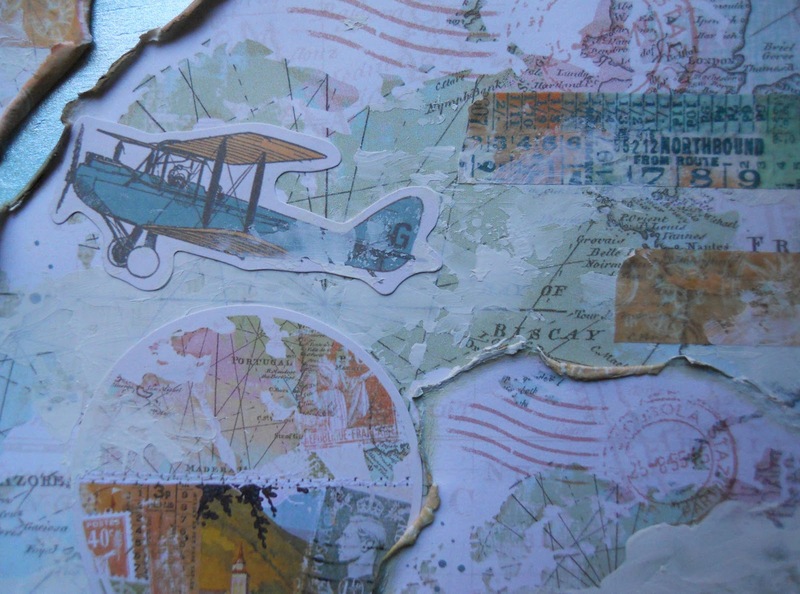 To show my love of flying and being in the air, I added the planes and hot air balloons from the Collage Bits & Pieces, Bits &Pieces, and 6X12 Chipboard! I barely put a dent in my dies, and with so many to chose from, "The Sky's the Limit" on what you can create with the Simple Stories (Simple Vintage Traveler) Collection from FotoBella.com!